Attorneys for REACH, the Waterkeeper Alliance and the NC Environmental Justice Network filed a federal civil rights complaint about the state’s swine lagoon permitting process more than two years ago. But the people’s in-person stories — and the thousands of signatures on petitions — put faces to piles of of legal papers. 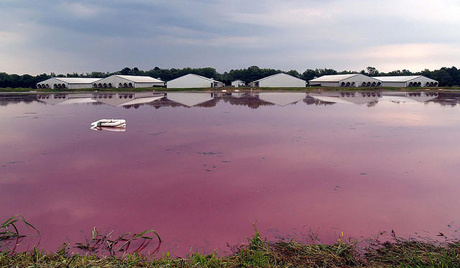 So compelling were the accounts that a month later, officials from the EPA’s Civil Rights Office arrived in eastern North Carolina and conducted interviews with more than 60 people living near the industrial swine operations. Sen. Cory Booker, a Democrat from New Jersey and a member of the Senate Environment and Public Works Committee, also toured the area and listened to residents. Then last week, the EPA took an unprecedented step of sending DEQ an official Letter of Concern. Not only has DEQ failed to establish a legally required non-discrimination program, the EPA wrote, but it also has ignored witness accounts of the environmental and public health crises caused by the swine farms. At the core of the issue is that 20 years of ineffective state regulations have not corrected the imbalance of power: On one side of the scales is the politically powerful NC Pork Council, which represents the wealthy major pork companies, such as Smithfield and Prestage. On the other side of the scales are the minority communities, environmental nonprofits, and even the many of the contract farmers themselves, who bear most of the financial and environmental risk and and comparatively few rewards of industrialized farming. Nonetheless, the agency’s pointed, harsh letter and its ongoing investigation — plus a new administration at DEQ — could tip the scales toward environmental justice. Sept. 3, 2014: Earthjustice files complaint on behalf of citizens’ groups alleging discrimination based on race and national origin by DEQ. The complaint alleged the state’s renewal of the Swine Waste General Permit without adequate measures to control, dispose of and monitor animal waste subjects minority communities to discriminatory impacts. Feb. 20, 2015: EPA opens an investigation into the complaint. March 6, 2015: Citizens’ groups and their attorneys and DEQ enter into Alternative Dispute Resolution, funded by the EPA. December 2015: Although the mediation is supposed to be confidential, DEQ tells the Pork Council that it’s happening. The Pork Council asks to attend; attorneys for the citizens’ group firmly tell DEQ the group is not invited. January 2016: Pork Council representatives and DEQ show up for the mediation session against the attorneys’ explicit wishes. Mediation breaks down. March 2016: Citizens and their attorneys withdraw from mediation. May 5, 2016: EPA reinstates its investigation. July 11, 2016: Citizens and attorneys file additional complaint alleging DEQ violated the EPA’s regulation prohibiting retaliation and intimidation of complainants. Aug. 2, 2016: EPA says it will investigate the second complaint. Sept. 2, 2016: DEQ requests that the original complaint be dismissed. The EPA declines to dismiss it. Dec. 5, 2016: DEQ files another response. Eighty percent of the hogs in North Carolina are owned by Smithfield or Prestage farms, leaders of the $60 billion pork industry. This gives the industry enormous power, through lobbying, for example, to convince state lawmakers and regulators to craft rules that favor them. However, the EPA’s letter details another tactic — intimidation — that the farmers contracted by these companies have used to squelch residents’ complaints. The EPA’s letter gives credence to previous declarations the residents’ made under oath as part of the civil rights complaint. This includes the environmental and public health issues and the intimidation tactics by nearby hog farmers. “The accounts ranged from sustained tailgating, being yelled at, being threatened with guns and other physical violence, driving back and forth in front of the houses of residents who have complained,” the EPA’s letter read. DEQ did not deny or refute the allegation that the giant hog farms operating under general swine waste permits were creating discriminatory impacts. Instead, state officials posed an anemic argument of why these minority communities were being unduly affected: that people were moving near them. DEQ countered to the EPA that the population has grown and demographics have changed in areas where there are concentrations of industrial hog farms. The influx of Latinos, in particular, DEQ speculated, may have been due to jobs created by the hog industry. DEQ’s defense of the hog industry’s practices is among the reasons residents distrust state regulators. Assess the Swine Waste General Permit to determine how it should be changed to substantially reduce impacts on nearby residents. The EPA also asked for a timeline. Assess current regulations on industrialized hog farms and determined what could be changed. If the DEQ claims it doesn’t have the authority to change a rule, it needs to show evidence of the impediment. Evaluate risk management options, such as covering the lagoons, not using dead boxes [a holding pen for hog carcasses] and not spraying on the weekends. Conduct an internal evaluation of DEQ’s enforcement and compliance of industrialized hog farms. If corrective measures are needed, deliver a timetable to do so. Evaluate its non-discrimination program if its in place, using a federal checklist. If the program hasn’t been established, DEQ is to correct the deficiencies. The light looks different in Duplin County. Located in the coastal plain, the county lies only 55 miles from the Atlantic Ocean. With the marine clouds diffusing the sunlight, the skies feel more vast. The nearly flat to rolling terrain slouches toward the coast, stepping over ancient shorelines from millions of years ago. Duplin County is also veined with waterways: the Northeast Cape Fear River, Muddy Creek, Bear Swamp, Maxwell Mill Pond, Picadilly Bay. The challenge, then for swine farmers is how to keep the waste from 2.2 million hogs out of not only the surface water, but the groundwater — which can infiltrate into private wells. Although in 1997, the state placed a moratorium on new hog lagoons — a ban that became permanent in 2007 — these laws don’t adequately address the conditions at existing lagoons. DEQ had a chance to rectify that problem in 2014 by enacting stronger permit requirements. Instead, nearly all hog farms in North Carolina operate under a general waste management permit, which environmental attorney Will Hendrick said is inadequate to regulate the volume of manure generated by these farms. Hog lagoons range from 10 to 13 feet deep and consume as much as eight square acres of land. Most of these earthen lagoons are open pits holding tens of thousands of gallons of waste and water. The lagoons can leak or even fail, especially during hurricanes and floods. Most farmers spread the manure, mixed with water, by spraying it on agricultural fields. “But then you have to be careful not to overload the soil with heavy metals,” the farmer said. There are regulations governing when farmers can spray the sludge, especially if heavy rain is in the forecast. But Hendrick said those regulations aren’t adequately enforced; given the number of farms, it would be impossible for state inspectors to catch every violation. Another requirements of general permits is that the waste, either via lagoons or sprayfields, not enter the state’s waterways. But it’s clear from water sampling that nitrogen and phosphorus from manure is entering the rivers. And since the pits are open, there needs to be tighter regulations on odor control. “Over the years, we’ve asked the state to address the disparate racial impact of permitting decisions” and grant individual waste permits specific to an area, Hendrick said. Farms near private homes or waterways would have different permitting requirements than those farther away. However, most of the financial responsibility and liability for maintaining or decommissioning the lagoons is not placed on Smithfield or Prestage, but the farmers. 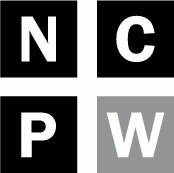 The farmer told NCPW that his colleagues want to upfit the lagoons to newer technology, but they don’t earn enough money to do so. “We should answer to our own communities,” the farmer said. Since the pork companies actually own the pigs — a contract farmer is paid only to raise them to weight — they can choose not to renew a contract. Or the companies can reduce the number of pigs it delivers to a farmer, and thus reduce the payments. Many hog farmers are deeply in debt. And if a farmer complains, he not only could be out a livelihood, albeit a small one, but he would be stuck with the lagoons. Curliss of the NC Pork Council, the trade and lobbying group for the pork producers, said the organization “supports and encourages the adoption of waste management technologies that are economically feasible for North Carolina farmers.” This includes swine waste-to-renewable energy technologies. Under a 2000 agreement between Smithfield and the then-NC Attorney General Roy Cooper, Smithfield agreed to spend $15 million on research for environmentally superior technology. Curliss said a preliminary analysis conducted by Dr. Kelly Zering at NC State University projects that it would cost approximately $5.4 billion 10 years to retrofit all permitted farms in North Carolina to such a technology. However, a 2014 analysis from UNC concluded that between grants, loans and federal programs, the cost for some technologies, such as anaerobic digesters and biogas, is cheaper. Yet North Carolina hasn’t taken advantage of those programs. From 2003 to 2012, the federal government made 217 grant and loan investments worth more than $100 million for the biogas technology. None of those investments were in North Carolina. However, Naeema Muhammad remains skeptical that the pork council is looking out for residents’ well-being.